I have a blog discussing how to install Cloudera Hadoop Cluster several years ago. It basically took about at least half day to complete the installation in my VM cluster. In my last post, I discussed an approach to deploy Hadoop cluster using DataProc on Google Cloud Platform. It literally took less than two minutes to create a Hadoop Cluster. 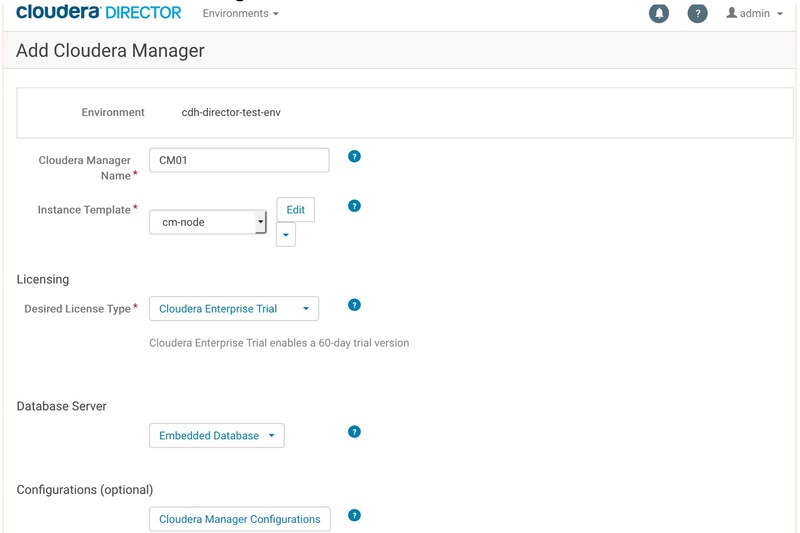 Although it is a good to have a cluster launched in a very short time, it does not have the nice UI like Cloudera Manager as the Hadoop distribution used by Dataproc is not CDH. I could repeat my blogs to build a Hadoop Cluster using VM instances on Google Cloud Platform. But it will take some time and involve a lot of work. Actually there is another way to create Hadoop cluster on the cloud. 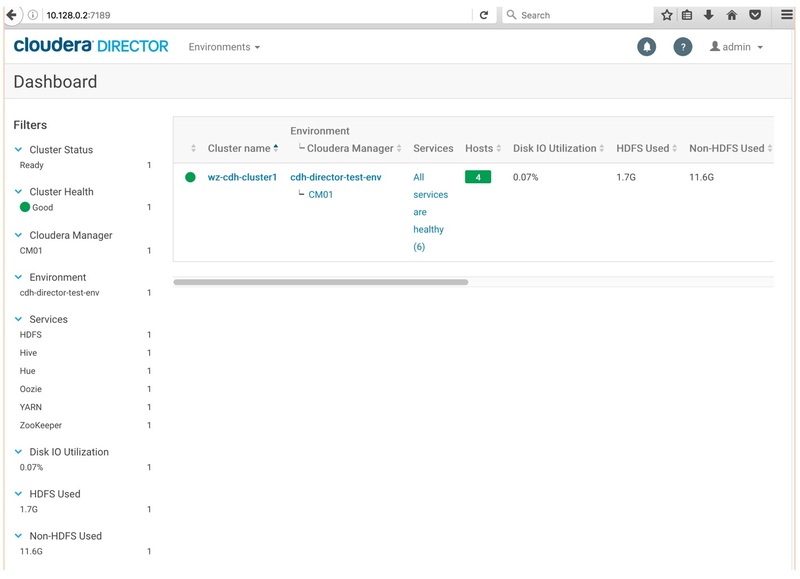 Cloudera has a product, called Cloudera Director. It currently supports not only Google Cloud, but also AWS and Azure as well. 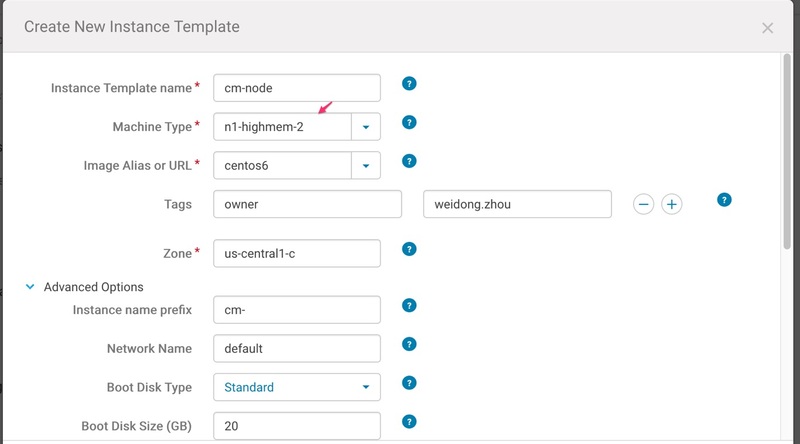 It is designed to deploy CDH cluster faster and easier to scale the cluster on the cloud. 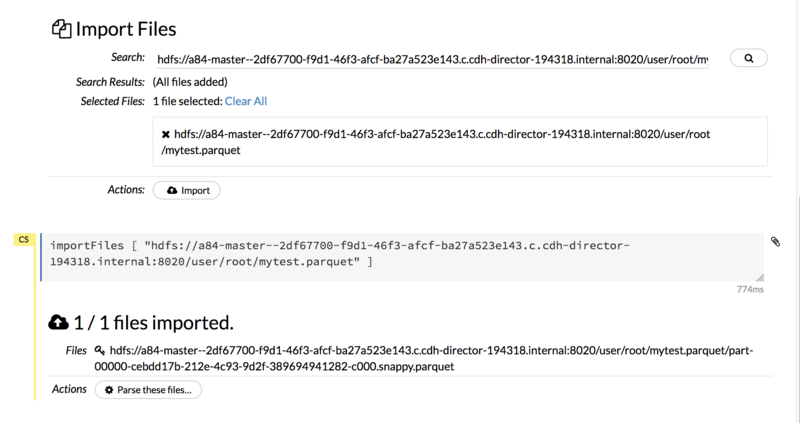 Another important feature is that Cloud Director allows you to move your deployment scripts or steps easily from one cloud provider to another provider and you don’t have to be locked in one cloud vendor. 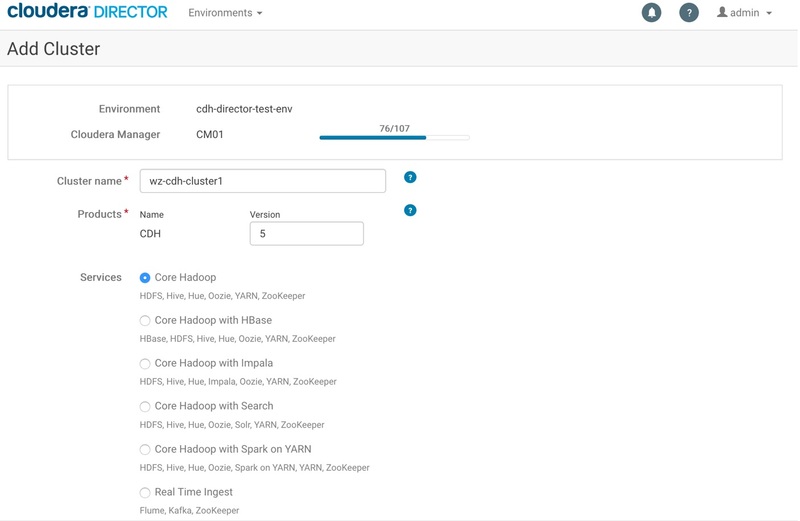 In this blog, I will show you the way to create a CDH cluster using Cloudera Director. 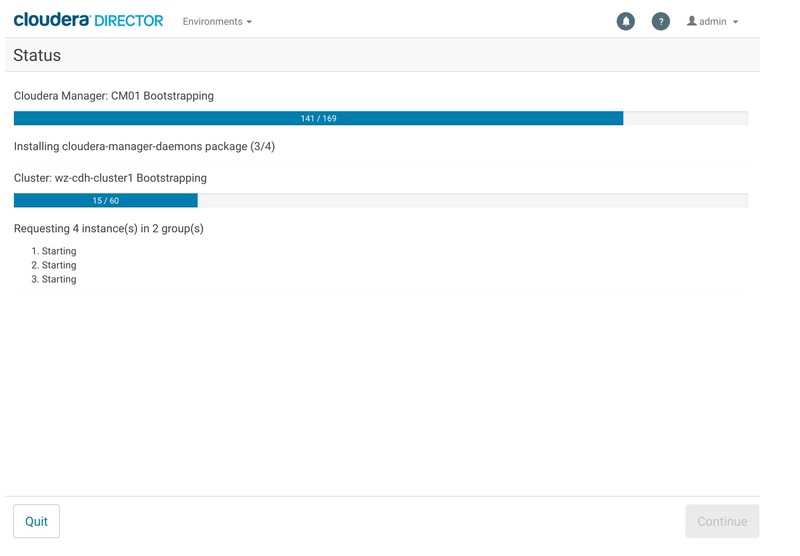 The first step is to start my Cloudera Director instance. In my case, I have already installed Cloudera Director based on the instruction from Cloudera. It is pretty straight forward process and I am not going to repeat it here. 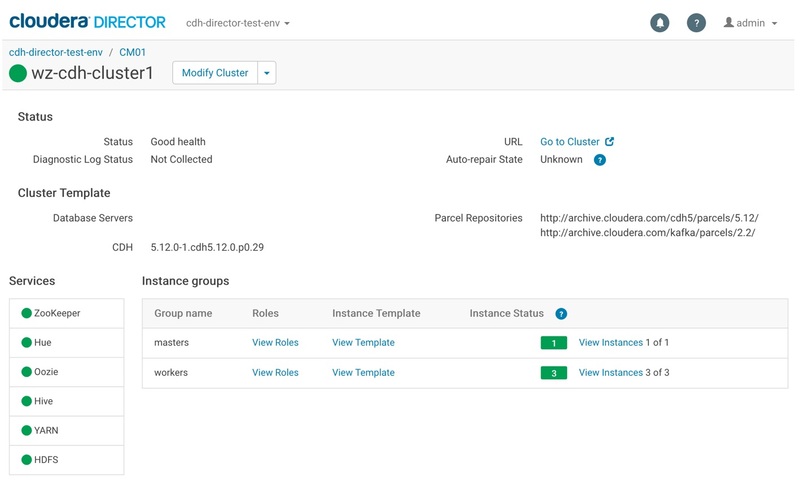 The Cloudera Director instance is where you can launch your CDH cluster deployment. 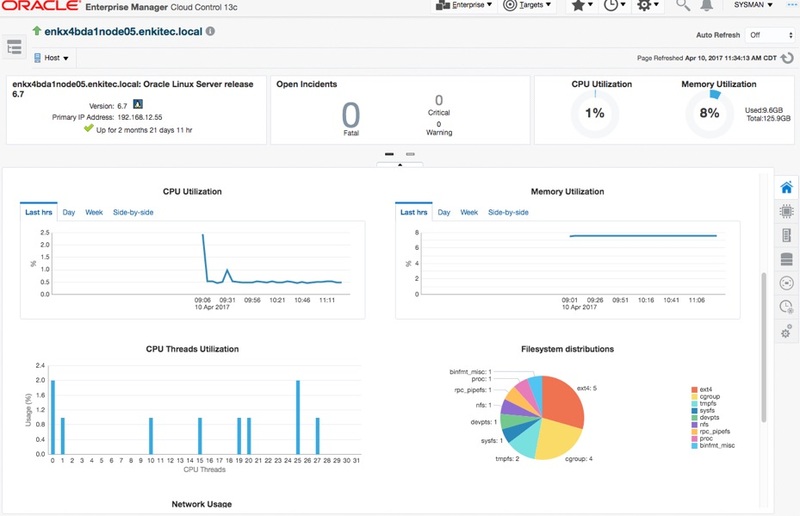 Both Cloudera Director and Cloudera Manager UI are browser-based and you have to setup secure connection between your local machine and VM instances on the cloud. 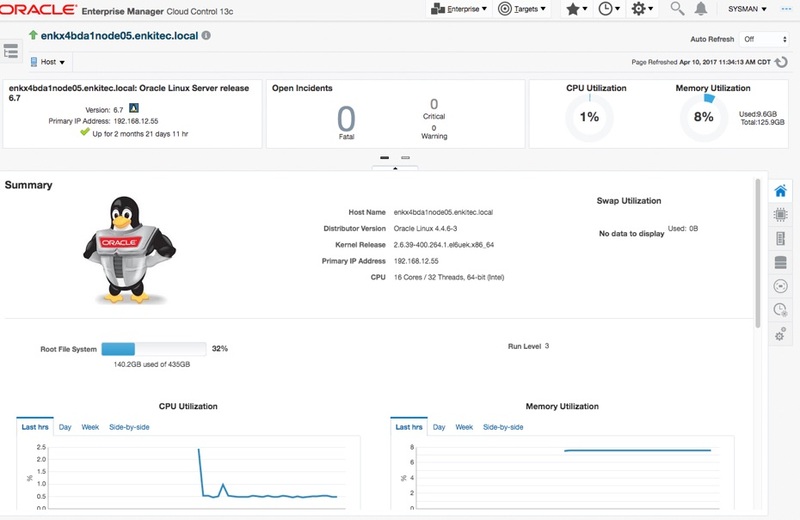 To achieve this, you need to configure SOCKS proxy on your local machine that is used to connect to the Cloudera Director VM. 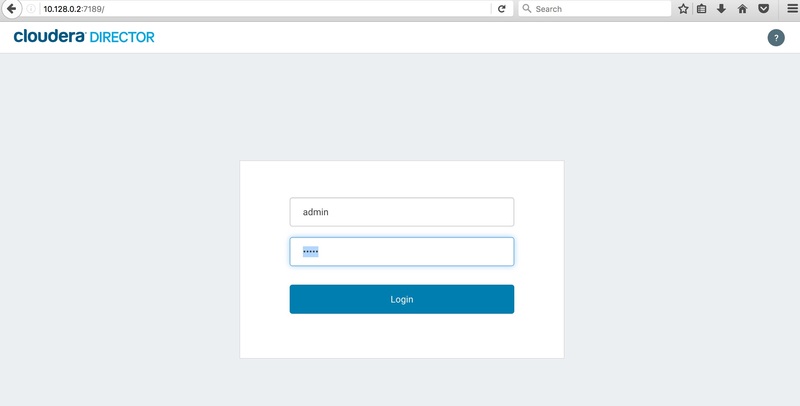 It provides a secure way to connect to your VM on the cloud and can use VM’s internal IP and hostname in the web browser. Google has a nice note about the steps, Securely Connecting to VM Instances. Following this note will help you to setup SOCKS proxy. Ok, here are the steps. cdh-director-1 is the name of my Cloudera Director instance on Google cloud and cdh-director-173715 is my Google Cloud project id. After executing the above command, it looks hang and never complete. This is CORRECT behavior. Do not kill or exit this session. 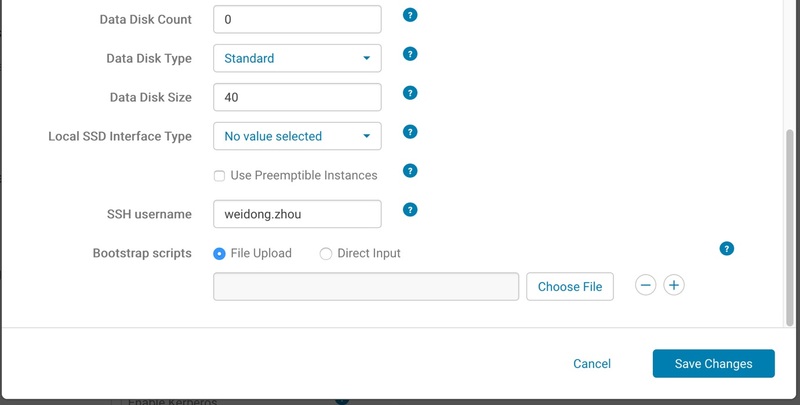 Open a browser and type in the internal IP of Cloudera Director instance with port number 7189. For my cdh-director-1 instance, the internal IP is 10.128.0.2. 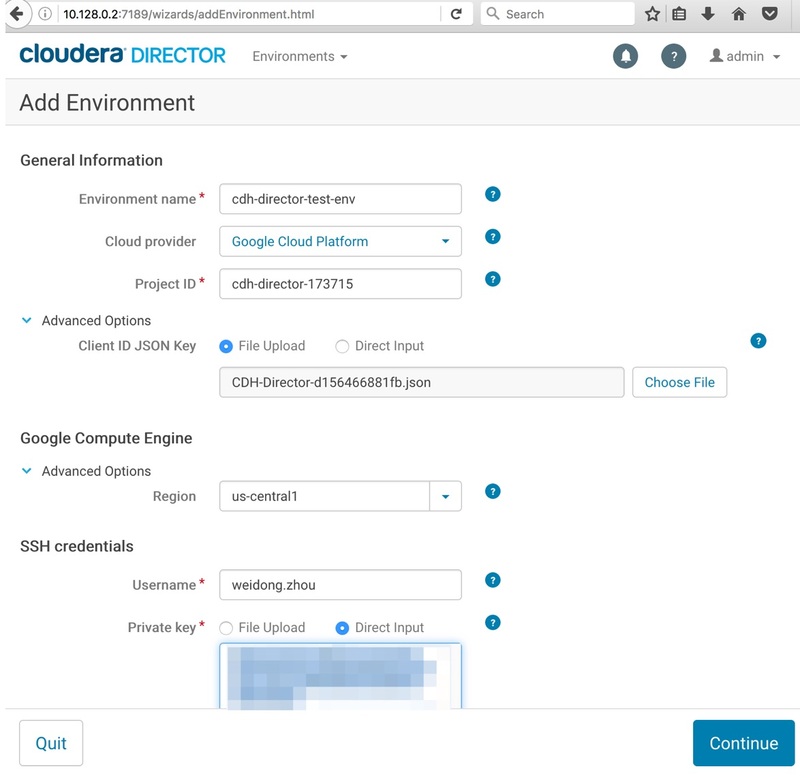 After input the URL http://10.128.0.2:7189 for Cloudera Director. The login screen shows up. Login as admin user. After login, the initial setup wizard shows up. Click Let’s get started. In the Add Environment screen, input the information as follows. The Client ID JSON Key is the file you can create during the initial setup of you Google project with SSH key stuff. 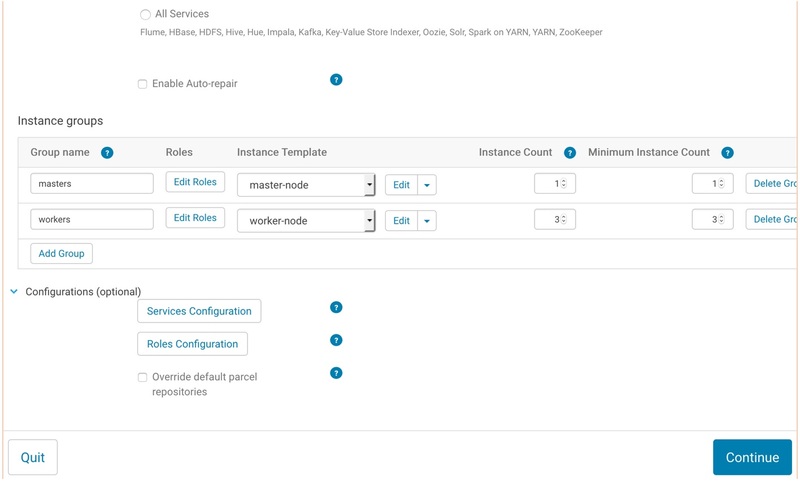 In the next Add Cloudera Manager screen, I usually create the Instance Template first. Click the drop down of Instance Template, then select Create a new instance template. 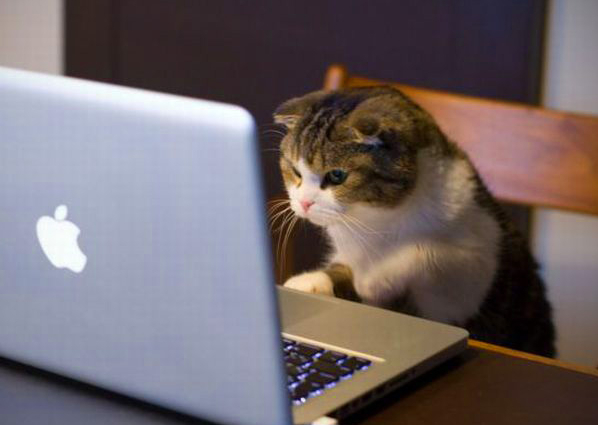 I need at least three template, one for Cloudera Manager, one for Master nodes, and one for Worker nodes. In my case here, I did not create a template for Edge nodes. To save resource on my Google cloud environment, I did not create the template for Edge node. Here are the configuration for all three templates. Input the following for Cloudera Manager. 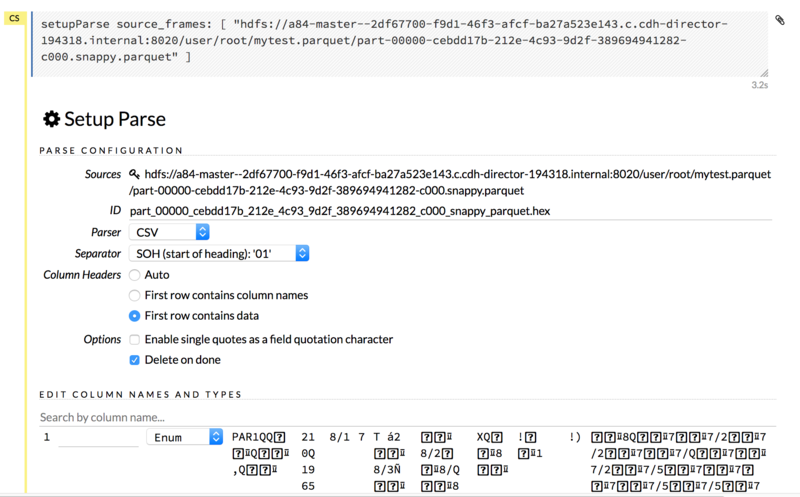 For my test, I use Embedded Database. If it is used for production, you need to setup external database first and register the external database here. After click Continue, Add Cluster screen shows up. There is a gateway instance group and I removed it by clicking Delete Group because I don’t have edge node here. 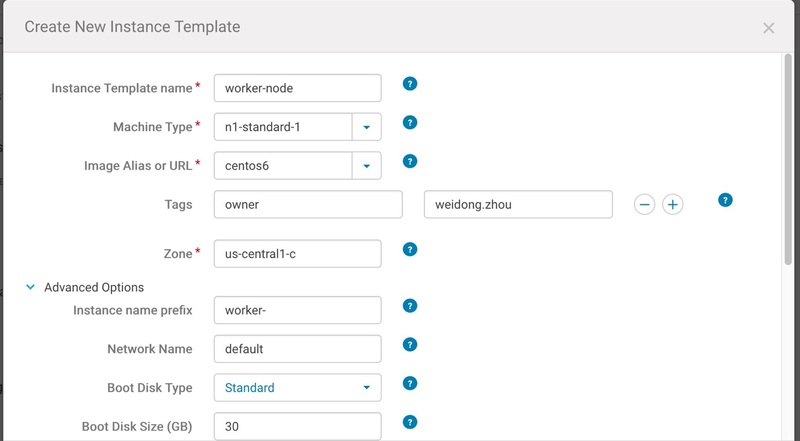 Input the corresponding template and number of instances for masters and workders. After click Continue, the deployment starts. After about 20 minutes, it completes. Click Continue. 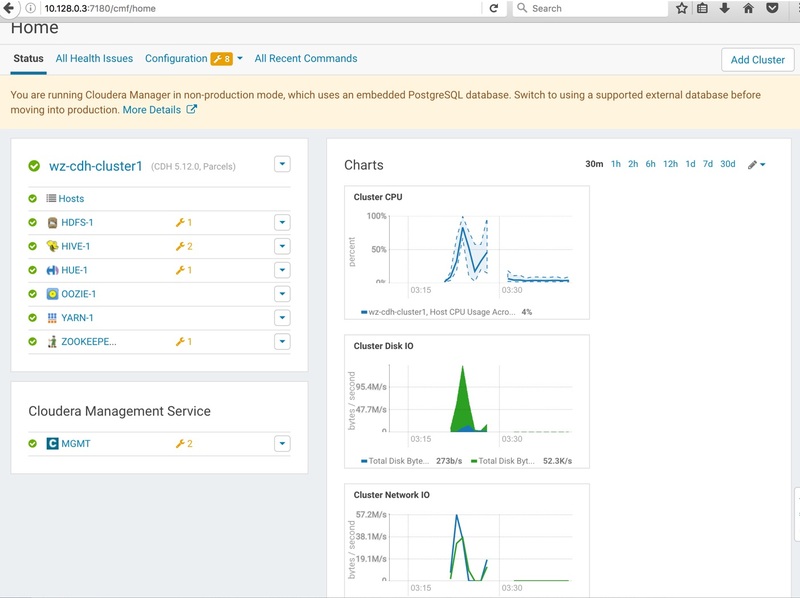 The nice Cloudera Director dashboard shows up. 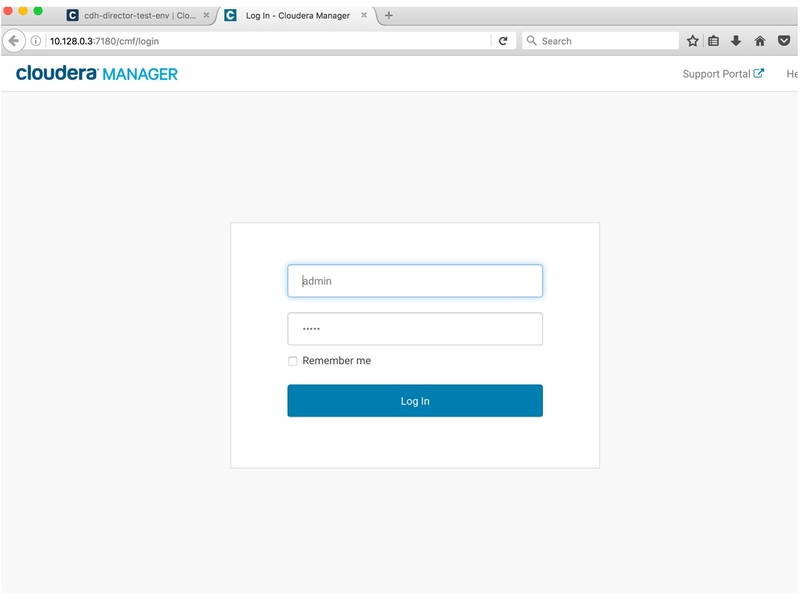 You can also login to Cloudera Manager from the link on Cloudera Director. Nice and easy. 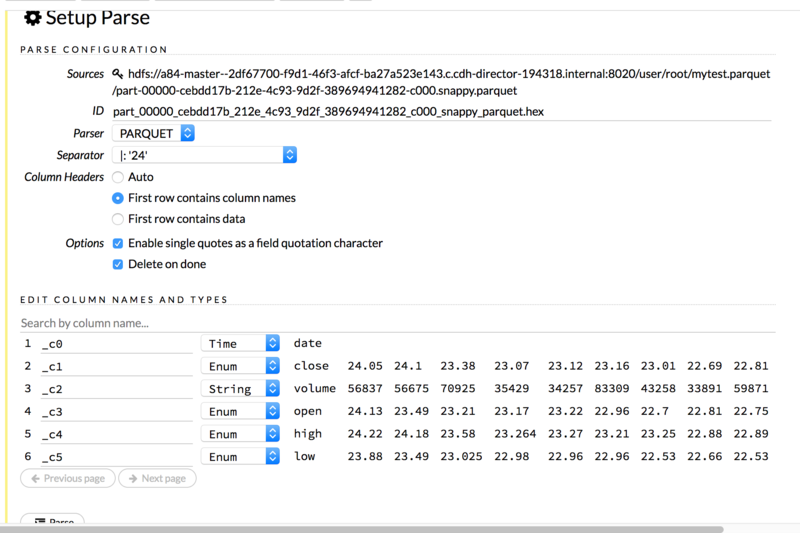 Excellent product from Cloudera. 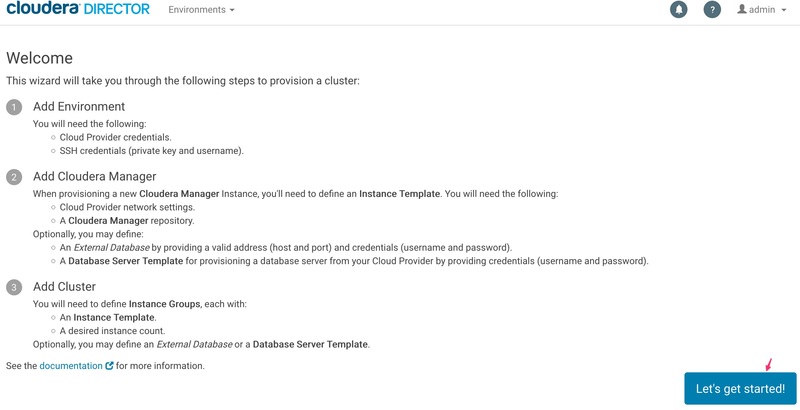 For more information about deploying CDH cluster on Google Cloud, you can also check out Cloudera’s document, Getting Started on Google Cloud Platform. 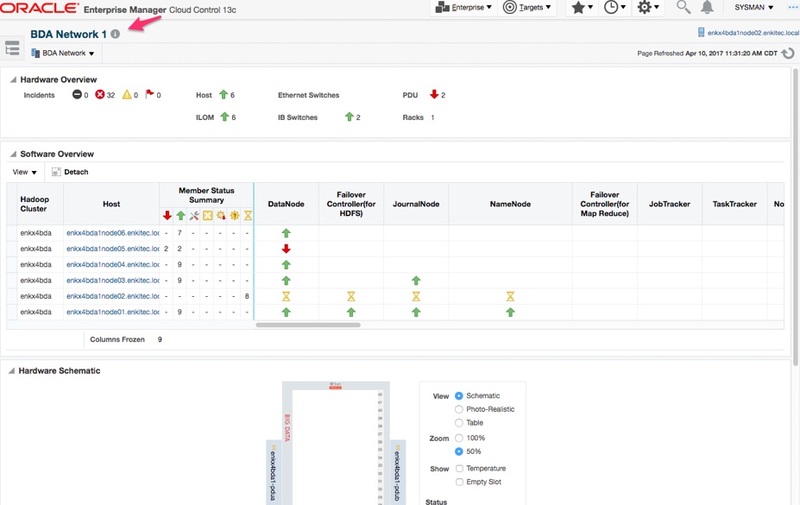 OEM 13c Cloud Control is a powerful monitoring tool, not only for Exadata and Oracle database, but also for Oracle Big Data Appliance (BDA). 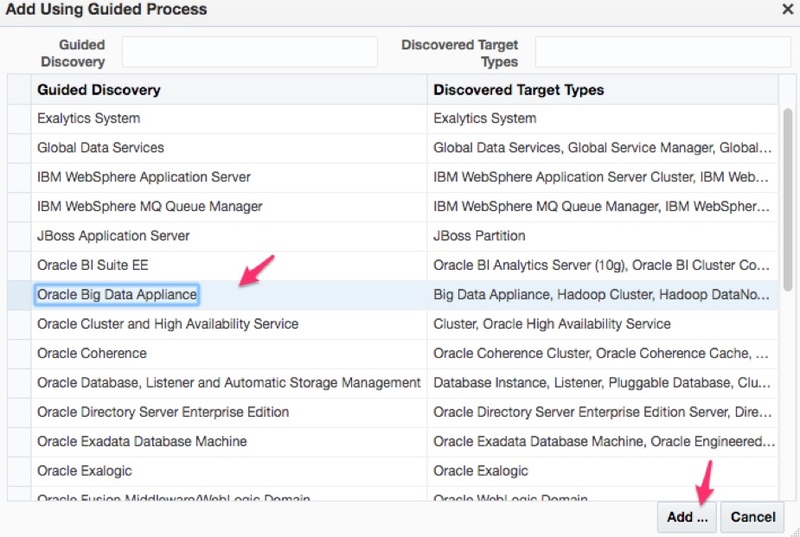 There are many articles or blogs about Exadata Discovery using OEM 12c or 13c. 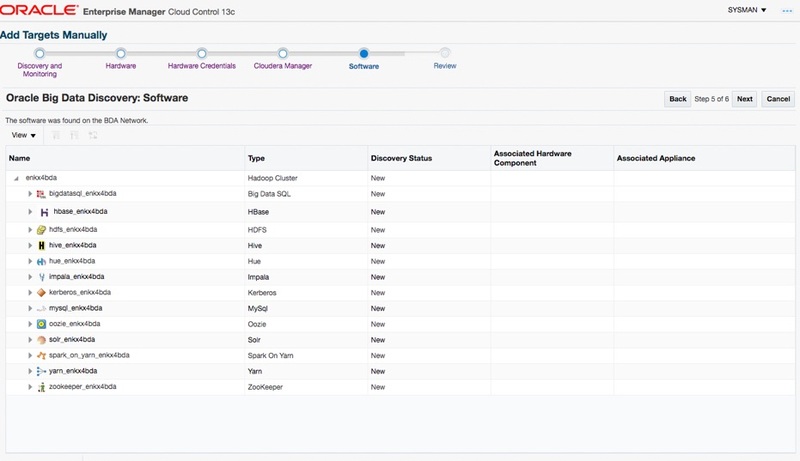 But not many places discuss the OEM BDA Discovery, especially using the new version of OEM, 13c Cloud Control. 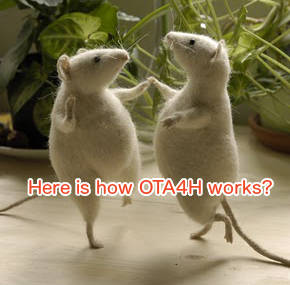 In this blog, I am going to discuss the steps to discover BDA using OEM 13c R2. First, do not use OEM 13c R1 for BDA Discovery. It is very time consuming and very likely not going to work. OEM 13c R2 is much better, at least I can successfully do the BDA Discovery on all of the BDAs I have worked on. 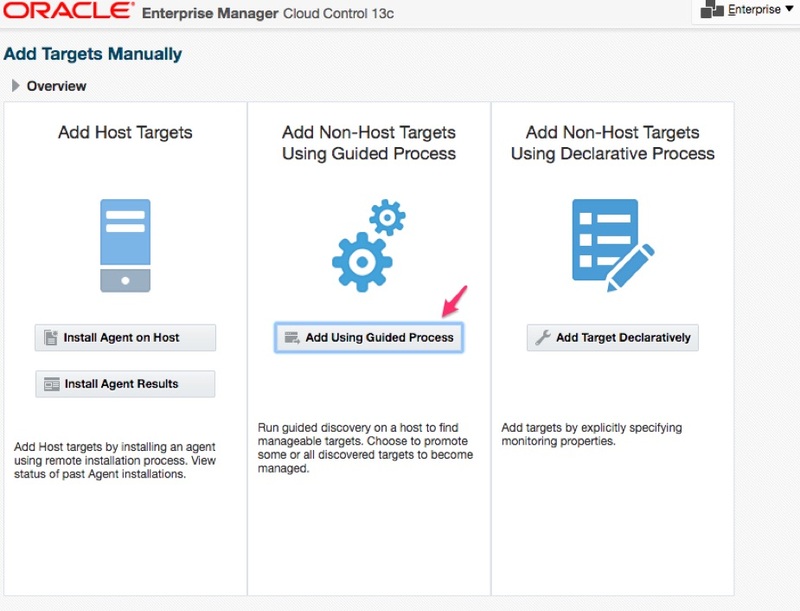 Secondly, unlike OEM Exadata Discovery, BDA Discovery usually requires one extra step before the Manual OEM BDA Discovery by using bdacli enable em command first. Theoretically if works, I don’t need to do anything in manual BDA discovery process. Unfortunately I have never run into this perfect situation in different BDA environment and always get certain kind of errors at the end. 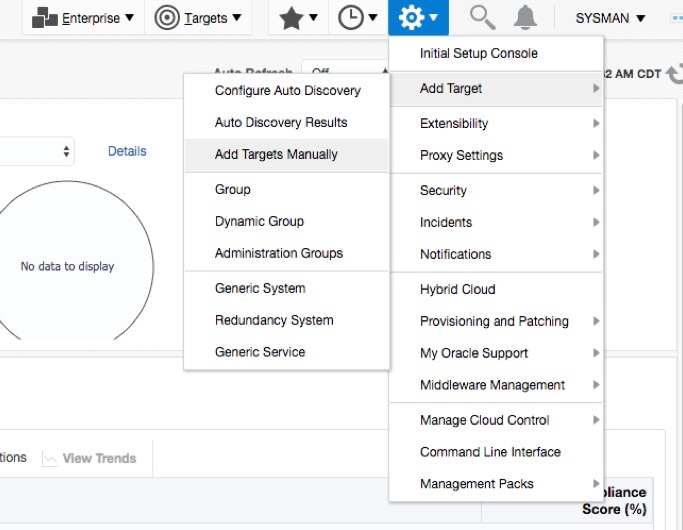 There are a few useful notes about OEM BDA Discovery. Run bdacli enable em. 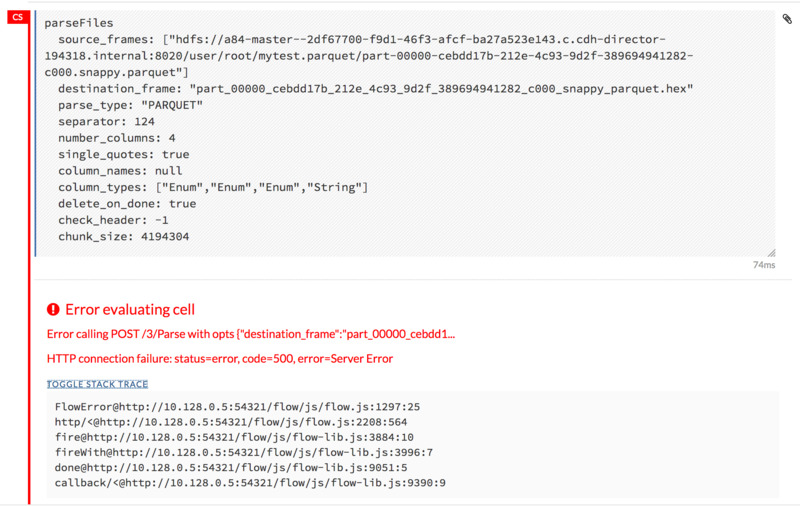 For BDA version below 4.5, run command bdacli enable em –force. I am almost 100% guarantee you won’t see the successful completion message from this command. For example, get the following error at the end. INFO: Running: /opt/oracle/emcli_home/emcli discover_bda_cluster -hostname=enkx4bda1node01.enkitec.local -cloudera_credential=BDA_ENKX4BDA_CM_CRED -host_credential=BDA_ENKX4BDA_HOSTS_CRED -cisco_credential=BDA_ENKX4BDA_CISCO_CRED -ilom_credential=BDA_ENKX4BDA_ILOM_CRED -infiniband_credential=BDA_ENKX4BDA_IB_CRED -pdu_credential=BDA_ENKX4BDA_PDU_CRED -cisco_snmp_string="snmp_v3;;SNMPV3Creds;authUser:none;authPwd:none;authProtocol:none;privPwd:none" -pdu_snmp_string="snmp_v1v2_v3;;SNMPV1Creds;COMMUNITY:none" -switch_snmp_string="snmp_v1v2_v3;;SNMPV3Creds;authUser:none;authPwd:none;authProtocol:none;privPwd:none"
Are you sure you want to completely cleanup em and lose all related state ? When see the above message, always type in N and not rollback the changes. Basically you have OEM agent deployed, just need to figure out which node you want to use as the start point for Manual OEM BDA Discovery. You should see the error below for the execution on many nodes. For certain node, you could see successful message and showing below. In my case, it is node 2. So I will use Node 2 for my manual BDA Discovery in the following steps. Logon to OEM as sysman user. Select Add Target -> Add Target Manually. The Add Targets Manually pages shows up. Select node2 from the list. Click Next. After it completes, it will show the following hardware information. Click Next. The Hardware Credentials screen shows up. If all Host credentials show green sign, you don’t need to do anything related to Host. Go to the next one, for example, IB Switch. 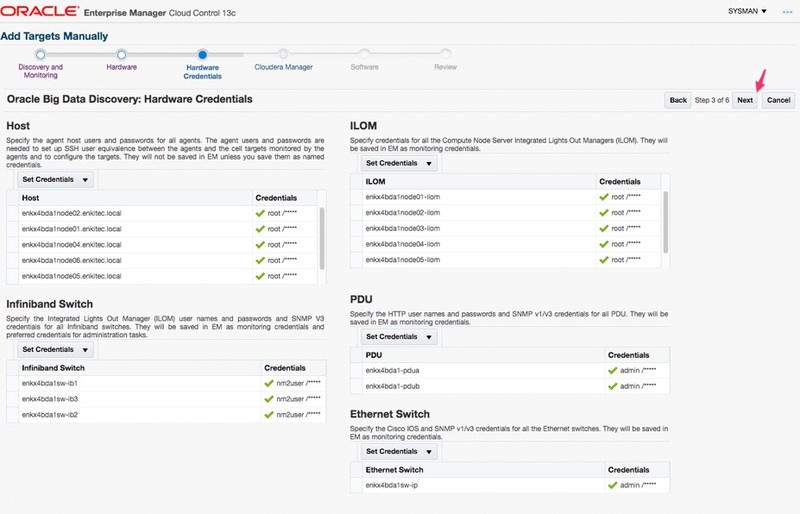 Select Set Credentials -> All Infiniband Switches . 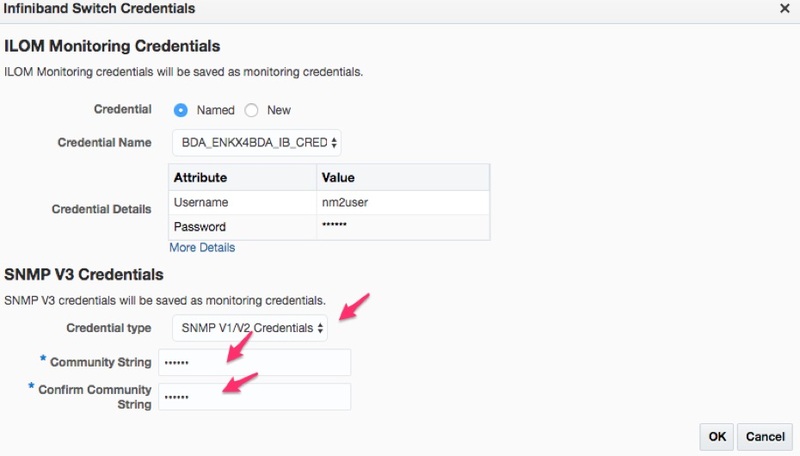 Then set SNMP Credentials type and community string. Majority of the time, input public for community string. Then click OK. If successful, it shows the green check. Following the similar procedure for all other hardware components, like ILOM, PDU and Cisco Switch. At the end, you should see the following screen. One interesting note about PDU. PDU component always behave in a weird way during the discovery. For this case, it shows successful with green check, but later on OEM shows PDUs as DOWN status after the discovery. In my other discovery works for different BDA environments, the green check has never shown up in this page, but PDUs shows UP status after the discovery. So the result is inconsistent. Click Next. 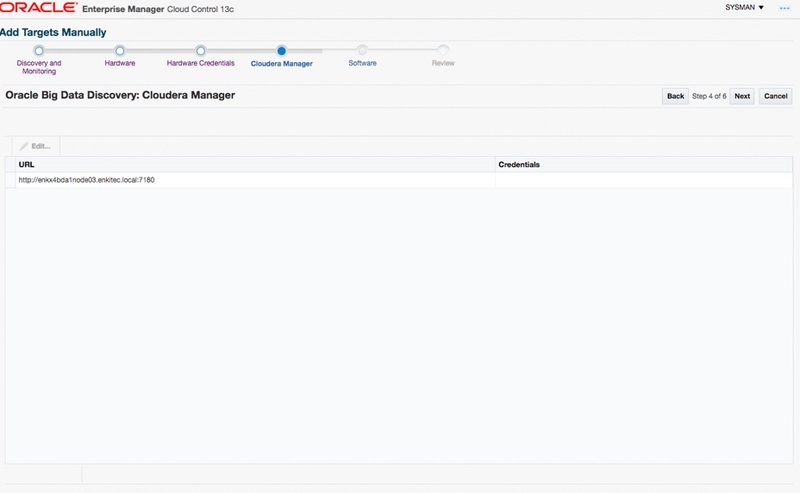 The screen for Cloudera Manager shows up. 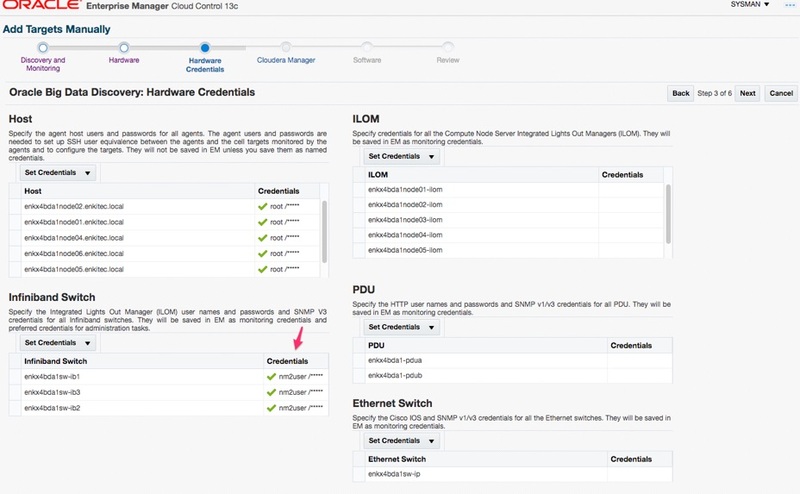 Click Edit, verify the credential for admin user for Cloudera Manager. Then click Next. The Software page shows up, click Next. If successful, will see the screen message below, click OK. The BDA Discovery is completed. 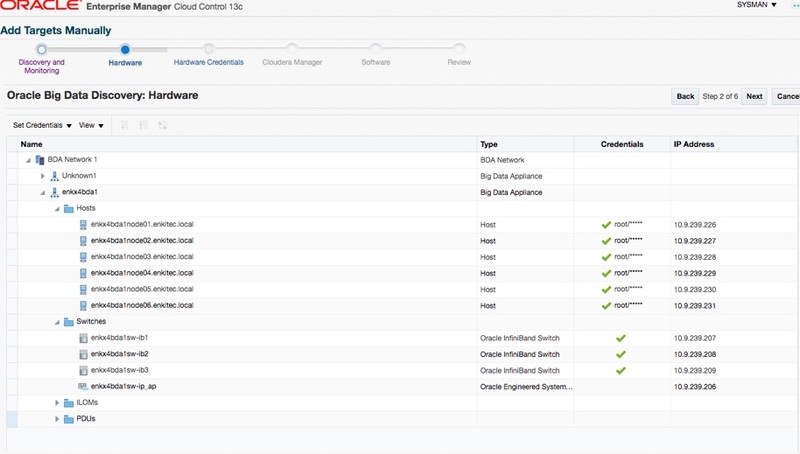 You might notice the new BDA cluster is called BDA Network1. This is not a good way to name a cluster, especially you have multiple BDAs under the management from the same OEM. I don’t understand why not to use BDA’s cluster name or Cloudera Manager’s cluster name. Either one will be much better than this naming. Even worse, you can change a lot of target name in OEM, but not for this one. I have another blog (Change BDA Cluster Name in OEM Cloud Control 13c) discussing a partial workaround for this issue. The presentation looks better than OEM 12c. In general, OEM 13c for BDA is good one. But pay attention to the followings. Otherwise you will spend a lot of additional time. 1) Before performing OEM BDA Discovery, make sure you have changed all of your default passwords on BDA. It’s easier to use default password during the discovery, but a huge pain after you change passwords for certain user accounts used in BDA discovery. Basically, update the Named Credentials is not enough and you have to delete the whole BDA target in OEM and redo the discovery. 2) Similarly, if configure TLS with Cloudera Manager after BDA Discovery, you will have to remove the BDA target and redo the discovery. It is a clearly a bug in OEM, at least not fixed at the time I am writing this blog. 3) Sometimes you might see tons of alerts from almost every ports in the Cisco switch. If from a few ports, I might believe it. But for almost every port, there is no way this is the right alert. As matter of fact, Oracle Support confirmed it seem false alert. At the time I had to do the BDA Rediscovery after configuring TLS with Cloudera Manager, I happened to notice all Cisco port alerts were gone after BDA rediscovery. 4) Both Oracle document and Oracle support says OEM 13c R2 supports BDA v4.5+ and any version below it is not supported. It’s true the lower BDA version would run into additional issues, but I managed to find workaround and make it working for BDA v4.3.